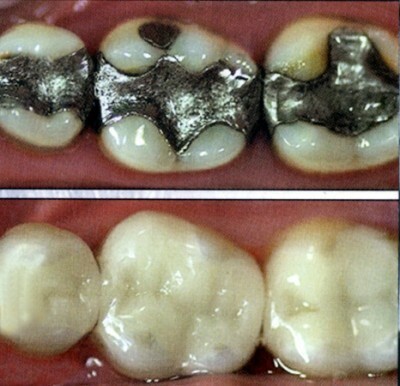 ALL DENTAL METALS CAN BREAK DOWN AND CHANGE DUE TO THE EFFECTS OF CHEWING AND THE PASSAGE OF TIME. Patients may be tested to determine their sensitivity to dental materials that may already be in the mouth, and prior to getting new dental restorations. Although symptoms may vary, no one escapes the ravages of mercury poisoning in patients of West Olds dental. The symptoms are wide ranging and debilitating. Children, however, are more vulnerable than adults. Pregnant women should be aware that mercury can have a negative effect on the fetus. Because symptoms may appear at different times in different people, it makes sense for everyone to know that if you have amalgam (fillings), you may now or eventually have symptoms of mercury poisoning in Langley. At Mercury Free Dental, the best dentist Richmond, we strictly follow the protocol defined by the IAOMT for safely removing mercury fillings. As a matter of fact, Dr. Dressler of Richmond is one of the founders of the organization. Eye mask over eyes to protect during mercury removal from mercury vapor & mercury particulate. Oxygen mask over the nose for same. Mercury vapor filter to reduce mercury vapor levels during mercury filling removals. Ionizer , blowing across patients face to reduce mercury vapor. Clean-Up apparatus fits over tooth attached to suction machine line during mercury filling removal, to reduce mercury vapor levels. 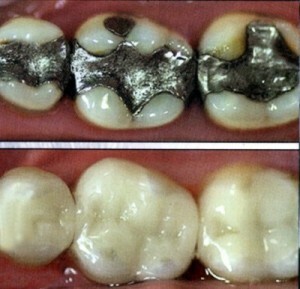 Use of large amounts of ozonated water on tooth during mercury filling removal. Mercury Collector which prevents 99% of mercury going out into the waste water.